Keep your darts organized and ready for play with the Casemaster Mini Pro Dart Case. 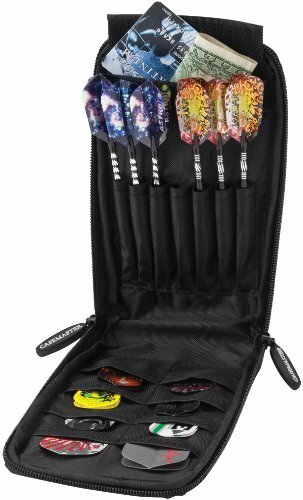 This highly-portable case holds two complete sets of darts securely in individual sleeves and includes eight additional pockets for darting accessories including extra flights, shafts, and tips. Constructed with a sleek leatherette exterior, the case keeps darts and accessories dry and protected. Meanwhile, the three-side zipper opening allows you to open the case like a book for full access to your darts.